When you’re at sea, you need to know you have a support team you can count on. For decades, Teknotherm has served the marine industry with dependable refrigeration solutions, parts and outstanding service. We are ready for all of your marine refrigeration and HVAC parts needs. 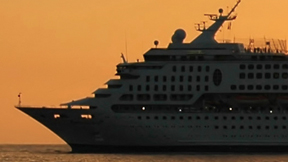 The cruise industry presents a specific set of challenges that Teknotherm is uniquely positioned to address. Since 1929 we have been involved in the design, construction, maintenance, and repair of the unique refrigeration systems aboard ships. Please contact us with any questions, maintenance needs, or parts requests.